Nestled among the boutiques on The Hill in Grosse Pointe Farms, The Hill Restaurant is noted for its excellent cuisine and superb service. Its classic American fare is prepared with premium ingredients and features a variety of meat and seafood choices to include: Wester Ross Scottish Salmon, USDA Prime New York Strip Steak, and signature Hill of Perch. 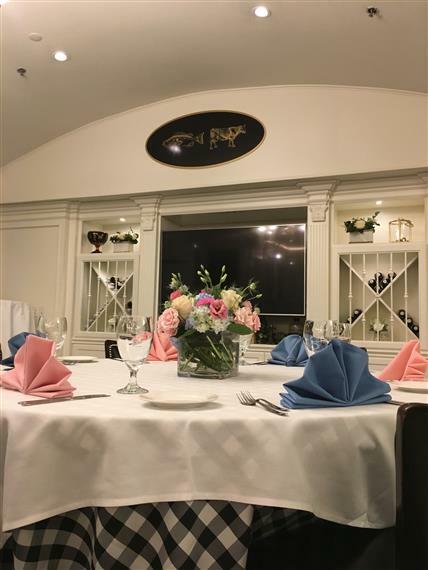 Enjoy your meal in the warm and comfortable main dining room, celebrate a special event in the lower level "private" dining room or dine "al fresco" on the outdoor patio. The Hill's outstanding combination of food, service, and value creates a delicious dining experience that inspires customer loyalty from its customers. At The Hill, we remain committed to purchasing only the highest quality ingredients. The Hill Restaurant uses locally grown, in-season organic fruits and vegetables as well as USDA Prime Choice and Creekstone Farms meats, and top quality fresh seafood. As always, we deliver outstanding value and creativity in our "all inclusive" dining experience resulting in satisfied returning diners.